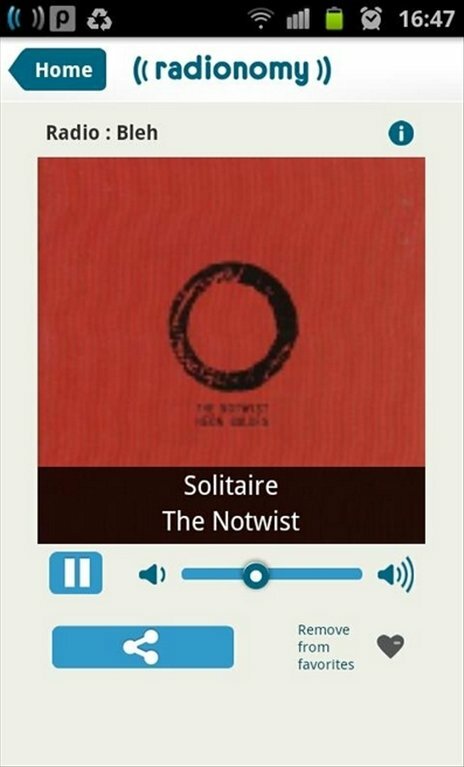 If you like listening to the radio you can now do so wherever you are from your phone thanks to Radionomy. 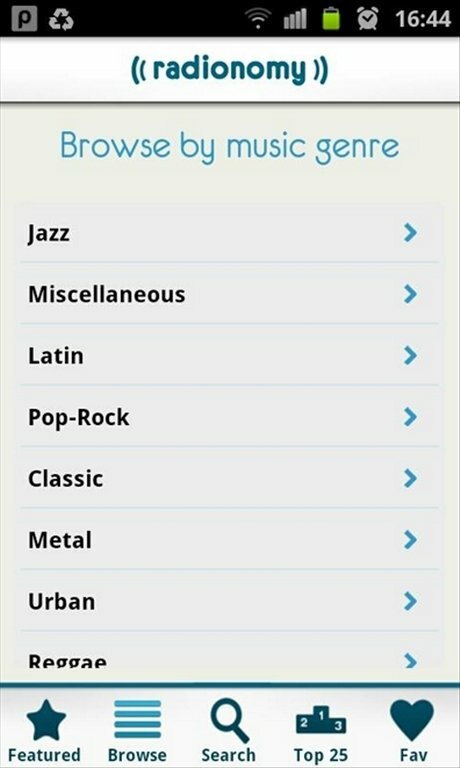 It's a free Android application with which you can search for your favorite radio station among the over 5,000 that are available, and listen to it from your mobile phone. Radionomy is the radio that you can take with you wherever you go. 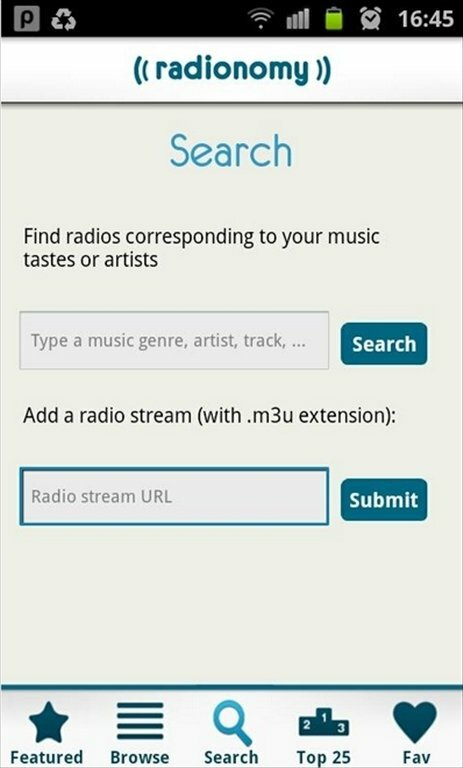 Allows you to search for radio stations by means of keywords. Lists with the 25 most listened to radio stations. Catalog of radio stations sorted by music styles. Also allows you to access external stations by inputting their URL and adding the .m3u extension at the end of the address. 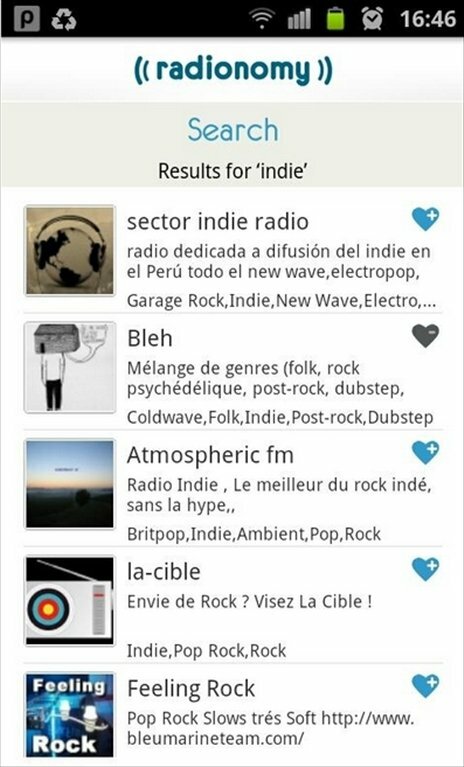 You can share your favorite radio stations on social networks. 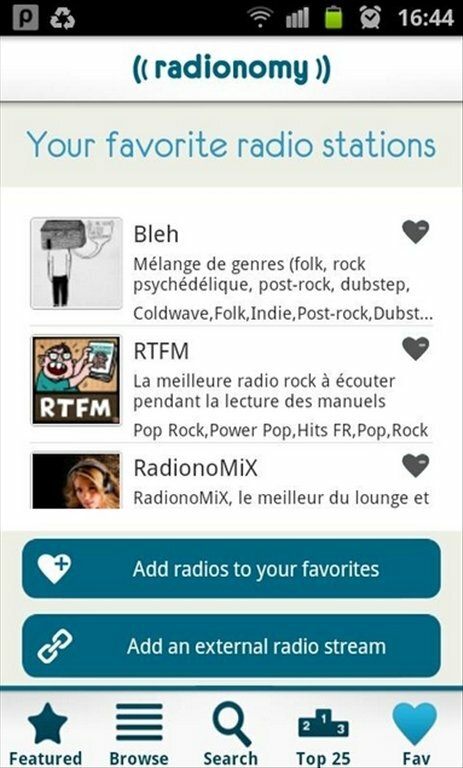 Enjoy all your music and your favorite radio stations thanks to Radionomy.